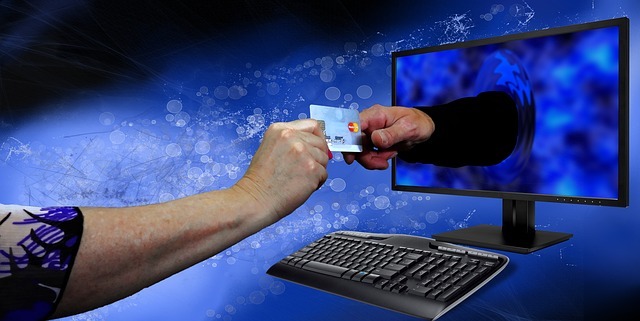 Credit cards might come off as a mystery to those who are new to the world of credits. You may have been warned; you may have felt scared; you may feel utterly confused. Don't worry - we are here to simplify it for you. Your friendly financial guides from mymoneykarma are here with 10 interesting facts about credit cards that everyone should know. A credit card is just a plastic card. It looks very similar to a debit card and various shopping cards. So, why is it different? What makes it so special? Well, you can do a lot of amazing things using your credit card. Credit cards provide an array of lucrative facilities: building a good credit history, availing loans at a favorable rate of interest, getting cheap insurance, buying things under EMI scheme, earning rewards for purchases made - you name it, credit cards have it! You just have to learn using it in the right way. Why should you get a credit card? Well, why not? It opens a new door of opportunities! Credit cards help you build credit and gives you access to more credit opportunities in the future. Many cards give you sign-up bonuses or shopping vouchers. Credit card reward programs are popular among customers - you can earn points for every purchase, and later use those points for more purchases! You can add flexibility to your finances by using a credit card - buy something now and pay it a month or so later. There are two types of credit cards - secured and unsecured. All regular credit cards are unsecured ones. On the other hand, secured credit cards are issued against a cash deposit which acts as collateral. These cards are designed for individuals who are looking to build credit but lack access to a regular (unsecured) credit card as they haven't yet established enough credit score. The only difference between the two is that a secured credit card is issued against a security deposit which unsecured credit cards don't require. Secured cards often have higher fees than unsecured ones - you might have to pay an application fee and yearly subscription fees as well. The penalty APR could be quite high for these cards. Apart from these, secured credit cards are just like regular unsecured credit cards and function on similar terms. They could be extremely useful for new customers who are looking to build credit. Credit cards can give you access to interest-free loan and a grace period of three to four weeks. This is how it works: Let's assume that your billing cycle is from 3rd January to 2nd February with a due date of 1st March. All purchases that you make from 3rd January to 1st March will be free of any interest. In case you miss your payment within the due date, interest will be levied upon your average daily balance. Most of us assume that credit card interest is calculated on the credit balance that remains after the payment due date. However, if you fail to pay your balance in full, you will accumulate interest on your average daily balance. If you fail to repay your outstanding credit balance in full within the due date, the free credit period will be ignored and the interest will be imposed on every purchase made during that billing cycle till the entire outstanding balance is cleared. Credit card interests are notoriously high; a single default or late payment can turn into a huge loan within a short span of time. What if you have spent a lump sum amount on a particular billing cycle but you cannot afford to repay the whole amount immediately? Though you should develop the habit of repaying your balance in full every month, credit cards offer a facility of making 'minimum payment.' It is the smallest amount that you have to pay each month without incurring a late fee or damaging your payment history. However, you might wonder how your minimum payment is calculated. Mostly it is calculated as a percentage (typically between 1% and 3%) of your credit balance. So if you have spent ₹2,00,000 and the minimum payment is 2% of your balance, you will have to pay ₹4000 at least in order to stay in good standing. If your credit limit is relatively low, your issuer might set a flat amount as the minimum payment. Payment history has the most impact (about 35%) on your credit score. Make payments on time and your credit report will shine; miss a payment and you are doomed. Credit utilization is the second important factor. It refers to the percentage of your credit limit that you have used up at any point in time. It has about 30% weight in determining your credit score. Length of credit history or your average credit age has around 15% impact. The longer your credit age, the better it is for your credit score. Credit Mix is another determinant of credit score. You must have diversity in credit accounts to establish that you have been trusted with credit by various types of lenders. This has a low impact (of about 10%) on your credit score. Hard inquiries are conducted by lenders whenever you apply for a new line of credit. They have about 10% weight in bringing down your credit score. Don't apply for multiple cards in a short span of time. Credit utilization refers to the portion of your credit limit that you spend in each billing cycle. You are not expected to spend your entire credit limit available. A borrower must be mature and spend responsibly. Your credit utilization rate reflects your spending habits and thus the credit bureaus treat it as an important determinant while calculating your credit score. If you desire a good credit score, you better keep a good credit utilization rate. Most financial advisors say that a credit utilization of 30% and below is ideal for your credit health. Take out your newest credit or debit card from your wallet and look for a small embedded golden square. Found it? That's an EMV chip. These chip-enabled cards are more secure than the erstwhile popular magnetic stripe cards. The EMV chip cards work on a superior technology than the magstripe cards; it is more difficult to hack into your account information through chip transactions than the ones through the magnetic stripes. With the advent of these chip cards, the world has breathed a sigh of relief as it promises more security from credit card frauds. Credit cards bring along a bunch of different fees. If you learn to use your card responsibly, you can easily evade these costs. 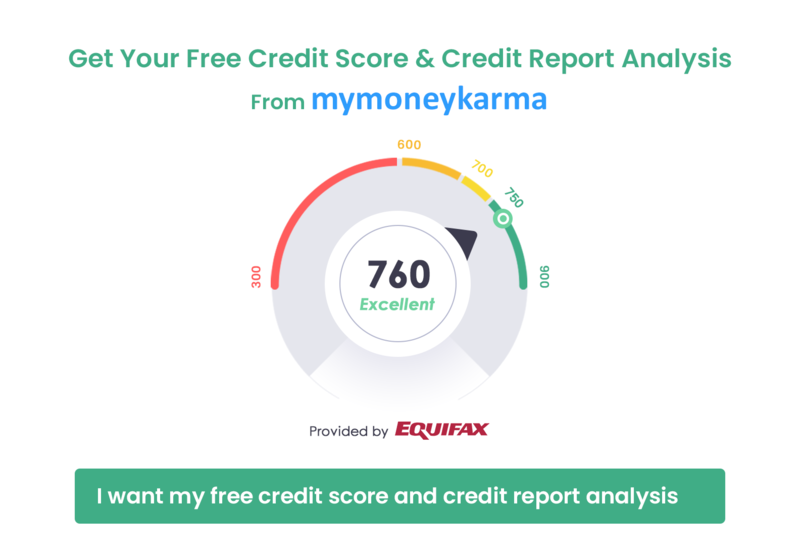 Now that you have been enlightened, go ahead and check out mymoneykarma’s credit card tool to find a suitable credit card for you. You could also use the credit score tracker to evaluate your chances of getting the card of your choice.